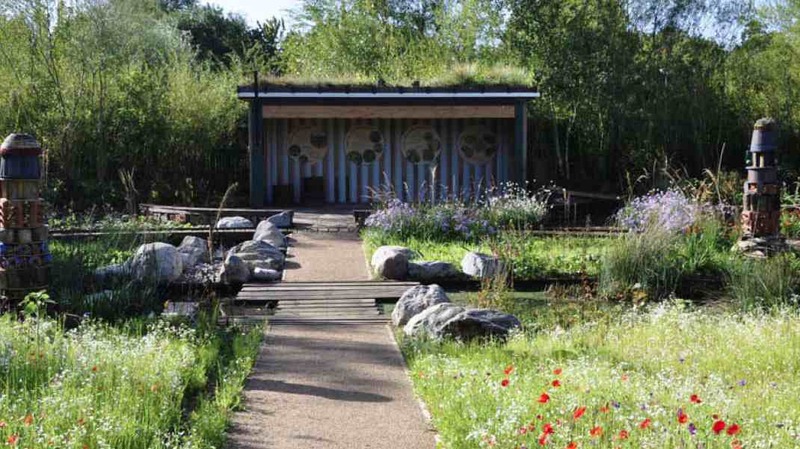 Adding a living roof to your garden office started to become popular a couple of years ago and now is almost a mainstream option offered by garden building suppliers. 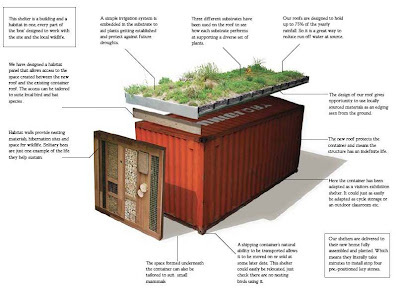 But essentially you still buy a shed and then decide whether or not to go for a green roof. Now, Green Roof Shelters (whose team includes green roof experts featured previously on Shedworking including Dusty Gedge and John Little) are providing a range of ready-planted shelters which come all done and dusted and ready to crane into position for a variety of uses such as outdoor classrooms, exhibition pavilions and of course shedworking. 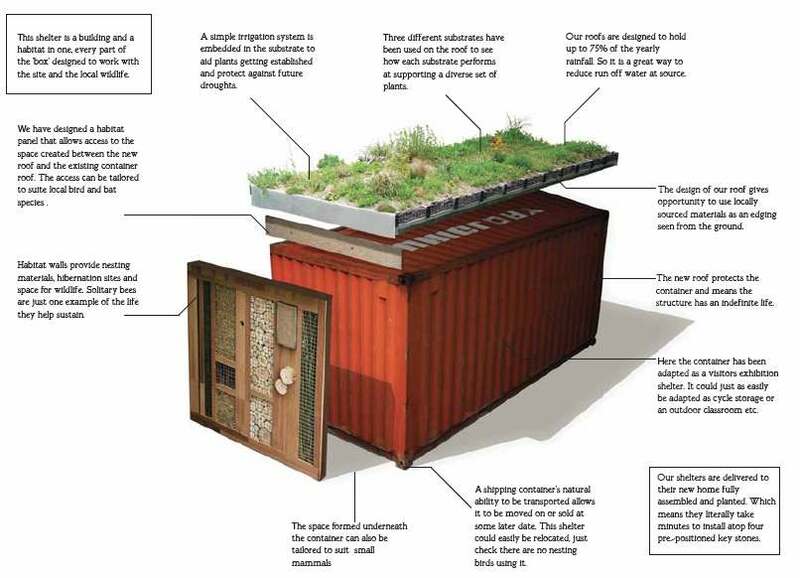 The buildings themselves are our old friends recycled shipping containers and optional extras include a rather attractive habitat wall and special bespoke habitats for birds and bats. Everything in the process is as recycled/salvaged/ecofriendly as possible. 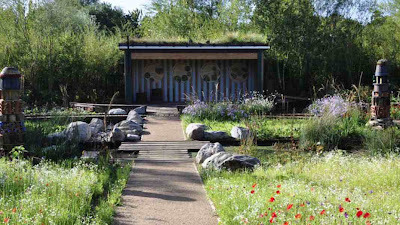 Pictured above is an example in situ, the pavilion at The London Wildfowl & Wetlands Trust’s new Rain Garden designed by Nigel Dunnett.